At Oxmoor Chrysler Dodge Jeep Ram, we offer a complete range of Jeep SUVs for you to choose from. Visit our showroom in Louisville, Kentucky and drive away with a new Jeep lease. With a variety of high-end Jeep vehicles available, including the new Jeep Wrangler and the award-winning Jeep Grand Cherokee, our Jeep dealership will help you get into the driver’s seat. A Jeep lease is a great option for those that typically drive around the city and want to switch up their vehicle for the newest models every few years. On a tight budget? Leasing a Jeep SUV typically means a lower down payment and smaller monthly payments than a traditional auto lease, so you can easily afford your dream vehicle. To get started, schedule a test drive at our Louisville, KY Jeep dealership. Our entire collection of Jeep vehicles is yours to explore at Oxmoor Chrysler Dodge Jeep Ram. Lease a rugged and beautifully redesigned Jeep Wrangler complete with state-of-the-art sound system and iconic off-road capabilities. 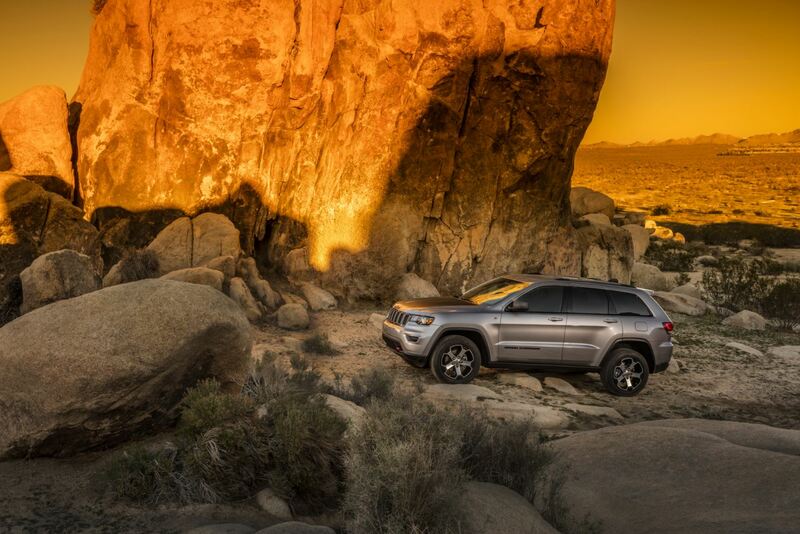 If you need an SUV with extrodinary towing capacity, the Jeep Grand Cherokee offers power, strength, and all-terrain toughness with a luxurious edge. For more information about our Jeep leases in Louisville, KY, contact our finance team to get started. In addition to leasing options, the finance team at Oxmoor Chrysler Dodge Jeep Ram offers an entire suite of Jeep financing options. Contact us today to inquire about our competitive auto loans and trade-in estimates. When you’re ready to hit the road, give us a call to find your next Jeep lease in Louisville, KY.